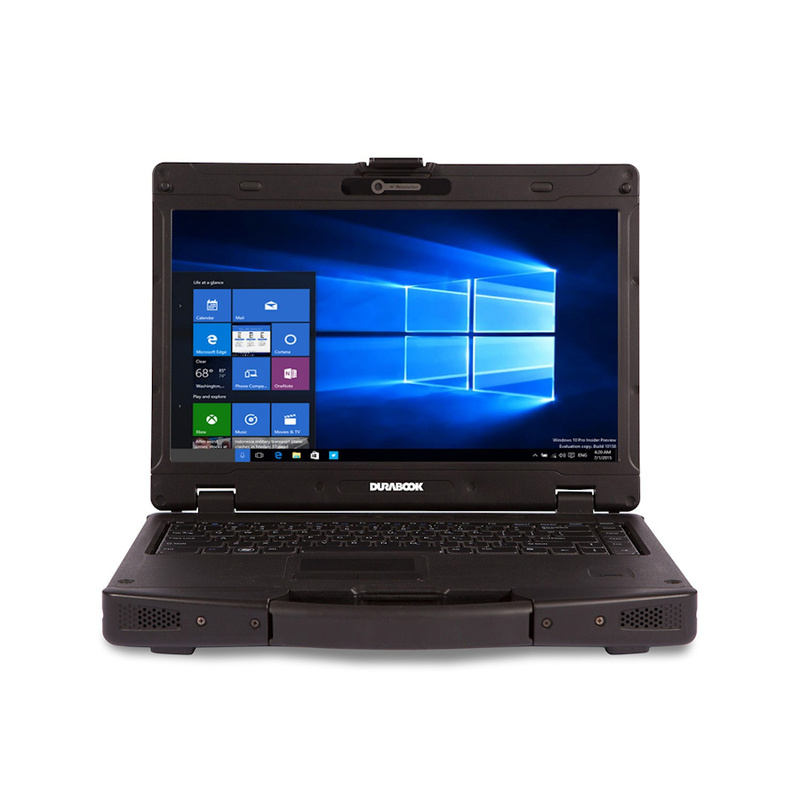 GammaTech has announced an updated Durabook SA14 R3 semi-rugged notebook for use in field situations. It now includes Kaby Lake and Windows 10 Pro in addition to a carry handle and the ability to survive rough handling. GammaTech Computer Corporation, a United States-based branch of a Taiwanese ruggedized computer equipment manufacturer, has just announced an upgrade to their Durabook SA14. 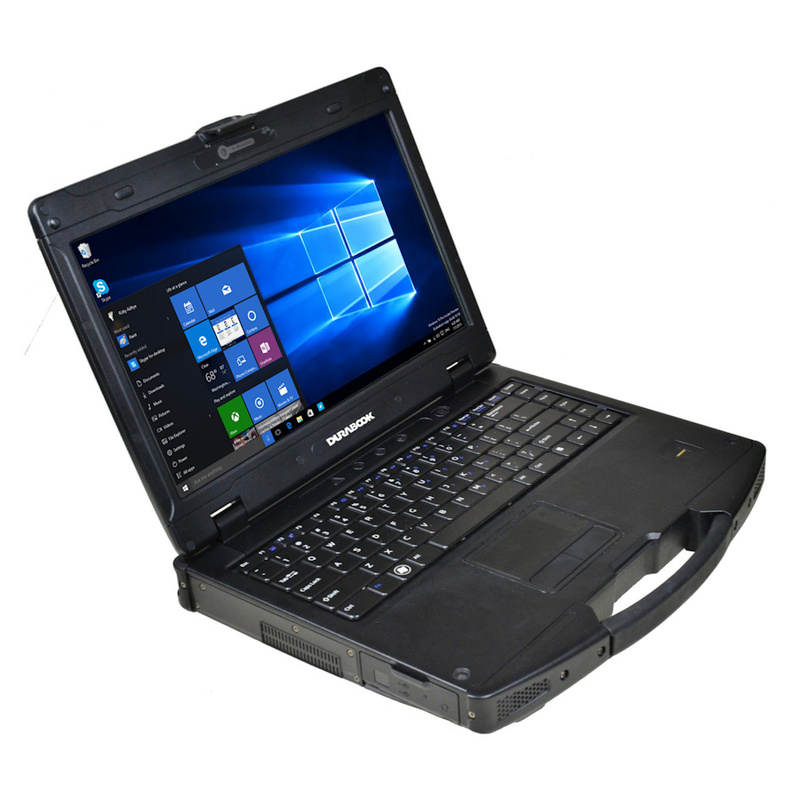 The SA14 R3 is a 14-inch ruggedized laptop designed for use in areas such as oil and gas exploration, utility companies, logistics, field service, or military applications where the ability to withstand abuse is more important than looking fashionable. Processor options have been upgraded from the Skylake equipped R2 to now include Kaby Lake U-series, specifically the i5-7200U (2.5 / 3.1 GHz), the i7-7500U (2.7 / 3.5 GHz), and the i7-7600U with vPro (2.8 / 3.9 GHz). Systems now come installed with Windows 10 Pro, and the newer processor architecture combined with a more mobile optimised operating system has resulted in longer battery life. The 2.5-inch hard drive tray can slide out of the body allowing for an optional second battery in its place. GammaTech claims a battery life of 14 hours, but it isn’t clear if this is before or after adding the second battery. Depending on configuration options chosen during purchase, the Durabook SA14 R3 comes with a 1366 x 768 resolution display that can go up to 500 nits to improve outdoor readability. This resolution is low for a 2017 device, but taking into account the environments and situations that Durabook laptops get used in, it is an understandable compromise to improve battery life and screen brightness (less dense pixel structure). Storage and memory options include 500 to 1000 GB 2.5-inch HDD or SSD between 128 and 1000 GB, while RAM options range from 8 to 32 GB. Other specifications include Intel AC8260 WiFi card (2x2 802.11ac), Bluetooth 4.2, 4G LTE, fingerprint scanner, smart card reader, and TPM 2.0. The Durabook SA14 R3 is rated IP53 for water and dust resistance, something which GammaTech claims is an industry leading rating — it is slightly ahead of competitors such as the Panasonic Toughbook CF-54 (IP51) and Dell Latitude Rugged 14 (IP52). MIL-STD-810G has been received for drop and vibration ratings. 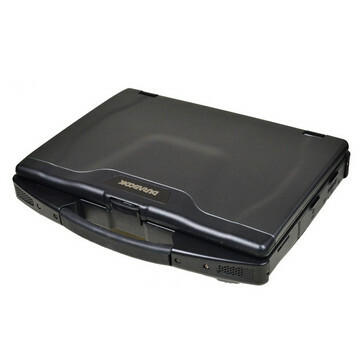 To achieve these ratings and battery life, as well as to hold multiple large connection ports designed for older standards, the Durabook is quite large with this model measuring 13.46 x 11.1 x 1.85 inches (342 x 282 x 47 mm) L x W x H, and weighing 7.48 pounds (3.4 Kg). The Durabook SA14 R3 will be available towards the end of 2017 with the base configuration starting at US$1698. The Skylake model will still be available for organizations who want to remain on Windows 7 Pro. The DURABOOK S14 R3 will be available, starting at $1698, in late Q4 2017. All DURABOOK rugged computers are available from authorized resellers and include a standard three-year warranty. Sales inquiries for DURABOOK products should be directed to [email protected] or 800-995-8946.